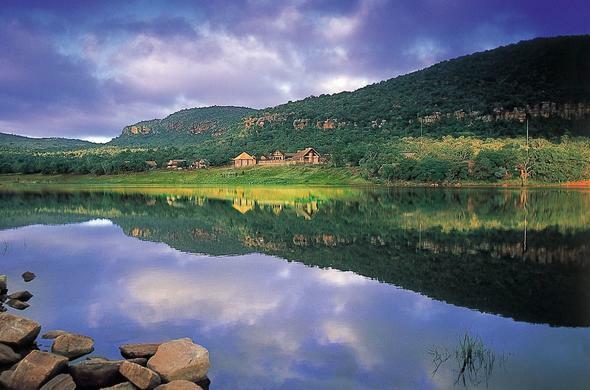 Lakeside Lodge offers guests malaria free Limpopo accommodation on the banks of Lake Entabeni. Situated in the Entabeni Game Reserve, Lakeside Lodge offers comfortable accommodation for a South African safari. This Limpopo game lodge is situated in the malaria-free Waterberg area and comes equipped with all that is needed for an unforgettable African bush getaway. Guests can look forward to luxurious accommodation in elegant en-suite bedrooms, that can also accommodate families on holiday, in a total of 24 bedrooms with a range of modern amenities. This Limpopo game lodge is ideal for Big Five game viewing. Enjoy a game drive, bush walks, or explore the Entabeni Game Reserve on horseback safaris. Sit down and enjoy your meal served in the Lakeside Restaurant or boma (outdoor enclosure).